So I’m happy to share that Eric’s class is 100% confirmed to run in Stockholm in less than 4 weeks from now. For those of you who signed up – your place is guaranteed, so if you haven’t planned your flight & hotel yet, then it’s probably a good idea to do it NOW. 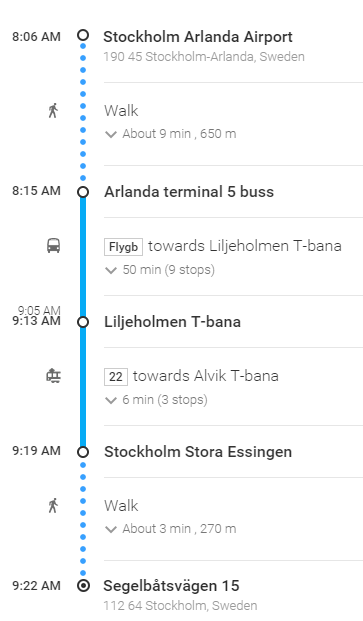 From Arlanda terminal 5 take Flygbussarna towards Liljeholmen T-bana at 8:15 (9 stops, 50 min). 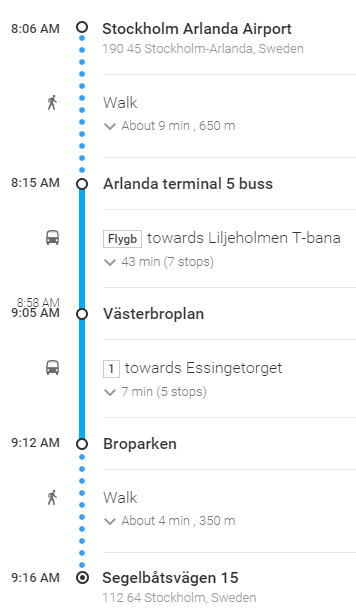 Get off at Liljeholmen T-bana and take tram 22 towards Alvik T-bana at 9:13 (6 min, 3 stops). 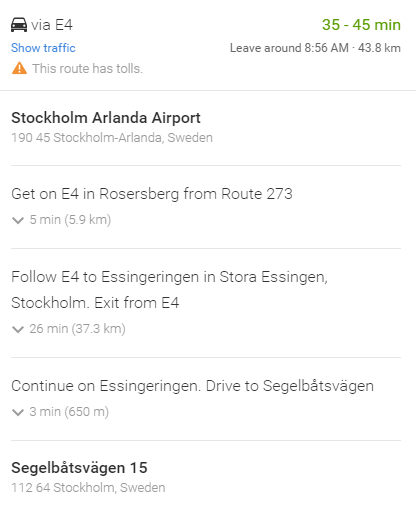 Get off at Stockholm Stora Essingen – 3 min walk and you will reach the venue. We are starting late the 1st day (10am) and finish early 2nd day, so you can save on extra hotel nights and get a return flight 14 to 15 Sep.
Hope you find the info useful – not too big travel expenses + quite convenient transport 🙂 Looking forward to meeting you in Stockholm! Rolf V. Ostergaard, M.Sc.EE. has worked with signal integrity in many different projects since working for 3Com in 1998 as a colleague to Lee Ritchey in Silicon Valley. While building a consulting business focused on advanced electronics and embedded software in Denmark, Rolf has been helping numerous companies with signal integrity and power integrity both as design, simulations, coaching, measurements, and troubleshooting. He started conducting training in SI in 2004 and has trained hundreds of engineers, which lead to founding EE-Training to further expand this. You can hire Rolf to do signal integrity training and consulting worldwide and remote.